With a traditional look, Strobe is a cost-effective safety eyewear solution that still offers serious protection. 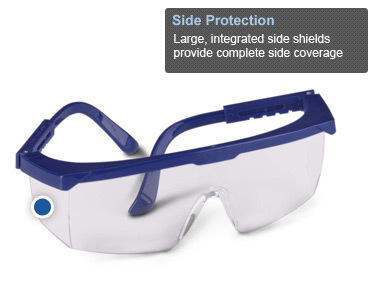 Large, integrated side shields provide all-around protection. Rugged yet lightweight, with adjustable temples for maximum comfort. 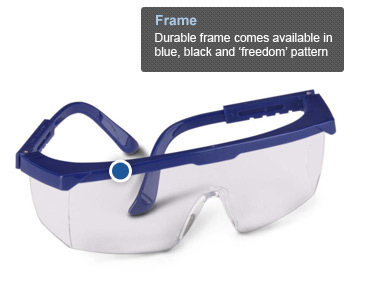 Available in black, blue and the patriotic “freedom” frame patterns. 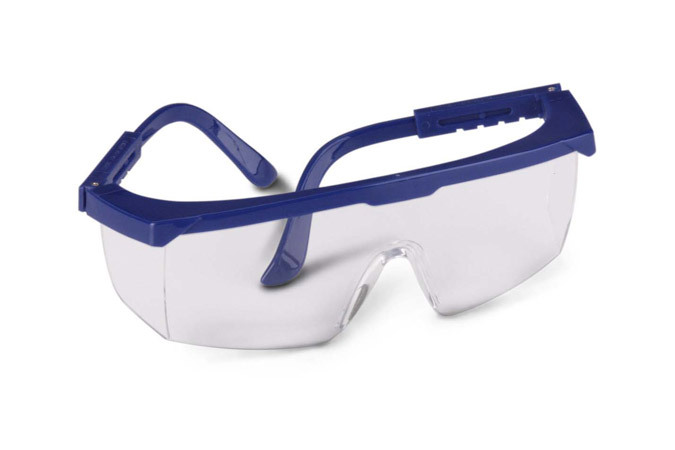 Meets the ANSI Z87.1+ and CSA Z94.3 standards.